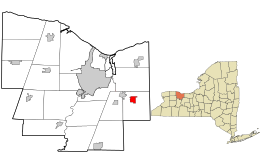 Fairport, New York is one of our most served towns. If you live in Fairport and you need our services, we’re right around the corner. Whether it’s electric panel changes, emergency trouble shooting, our a simple faulty outlet, give Absolute Electric a call!